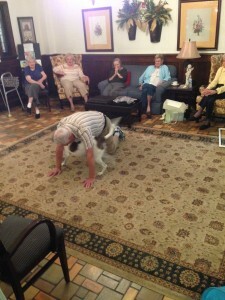 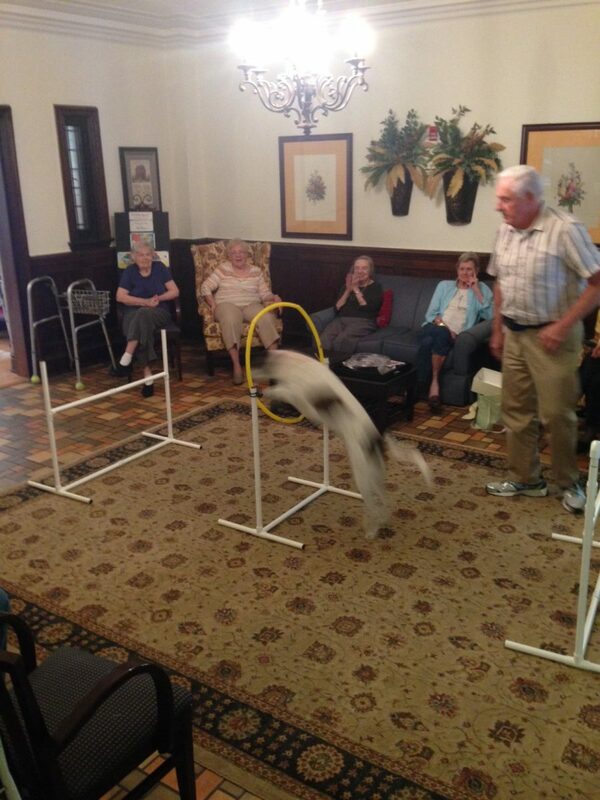 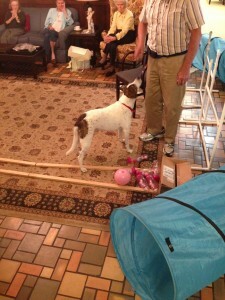 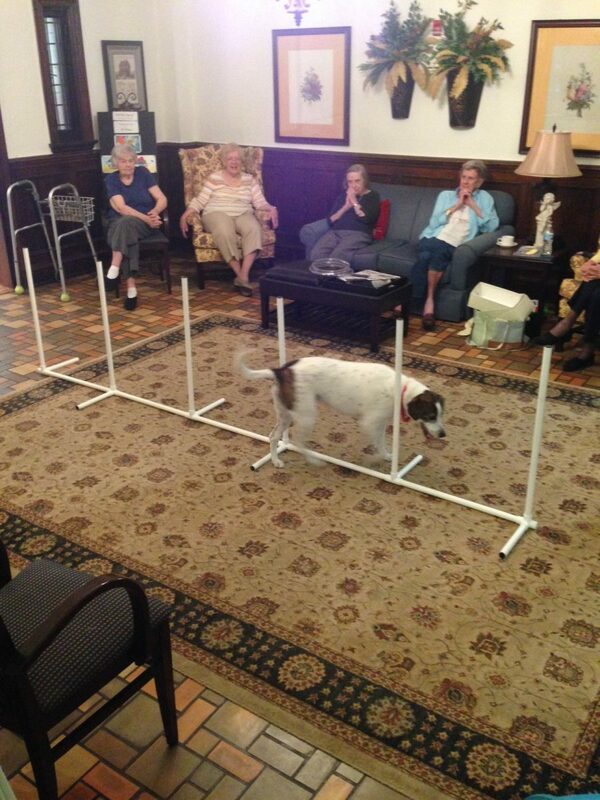 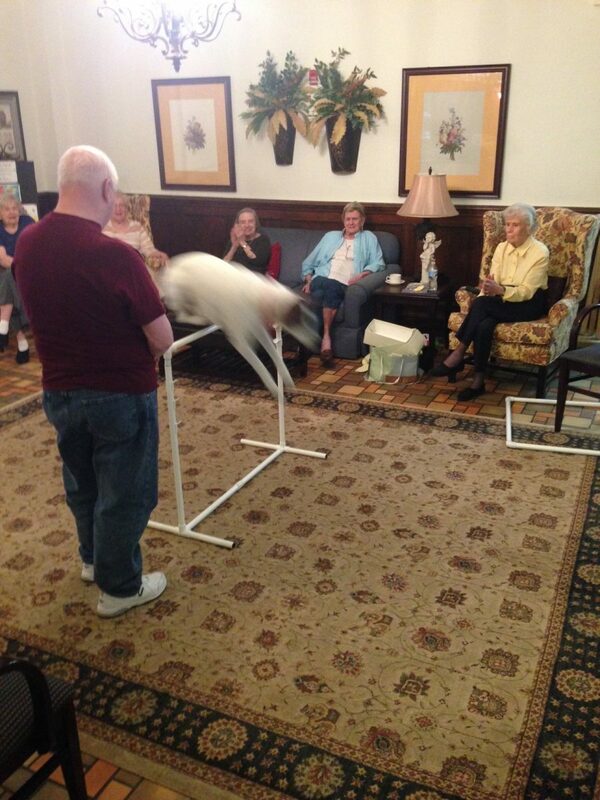 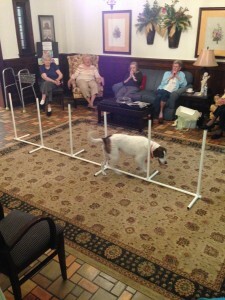 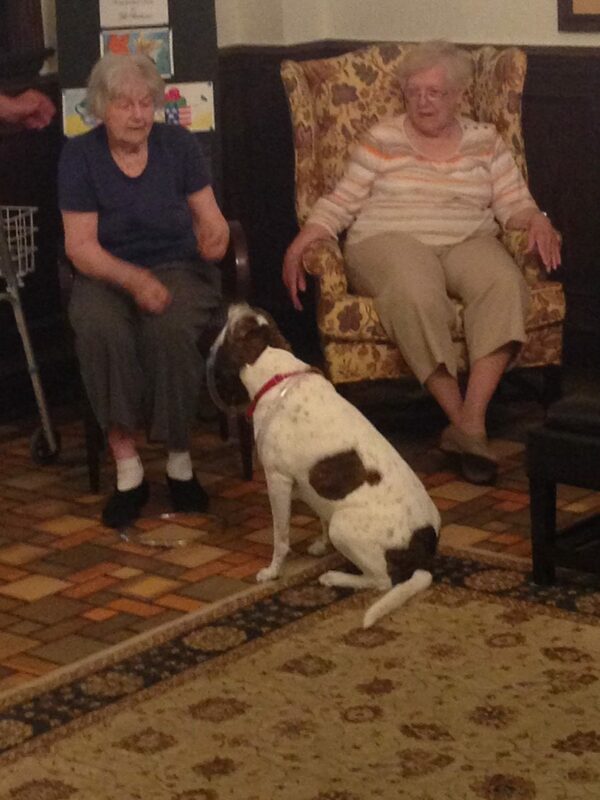 Alice the Thinking Dog and Beldin came to The Rockwood to perform for our Residents. It’s always a pleasure watching her show off her talented skills. 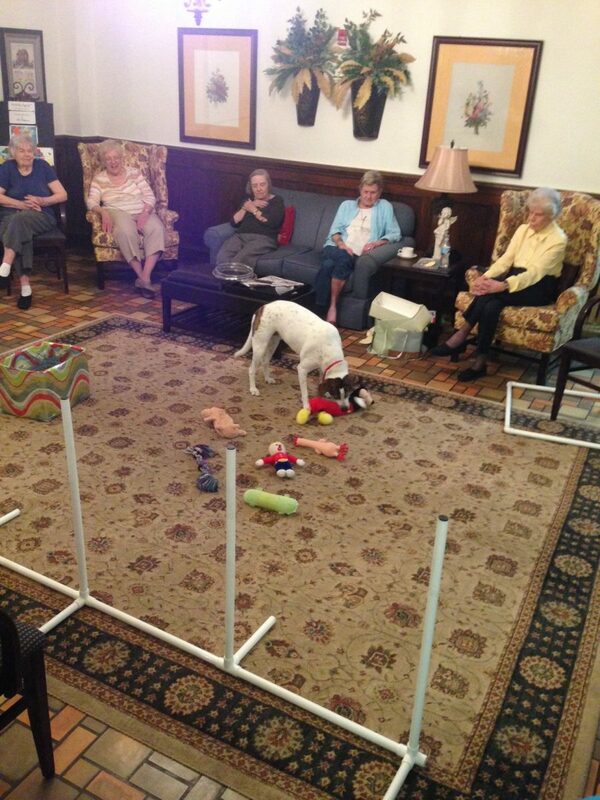 Bowling for treats. Jumping through hoops and hurdles. 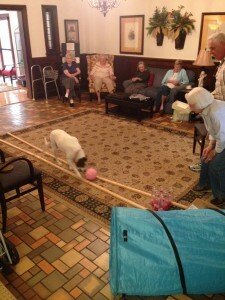 She plays ring toss with the Residents. 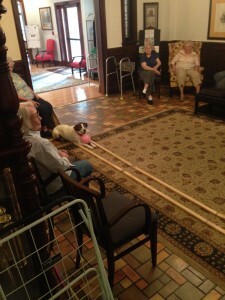 Weaves in and out of the poles. Puts her toys away by whichever one Beldin tells her to grab. And then she gets Beldin to play with her making him the hurdle.